Calling all SUP aficionados I think it is official that the Stand Up Paddleboading craze is starting to take root all over the country. With spring here and summer fast approaching I know a lot of people dusting off the SUP and ready to get back in the water. I just wanted to let you know that we now have a great SUP Rack back in stock. This Stand Up Paddle boarding rack is very economical both on your wallet and space. Storing your SUP in the upright position really saves spaces and makes it convenient to store your SUP. This rack also has another great feature, a paddle holder on the front. This is a feature that some of the racks don't have but is a great thing so you can store your board and paddle together, out of the way and safely in their own rack. 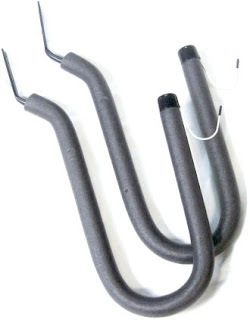 Have one of these SUP Hangers? Let us know what you think. Take a picture and send it over to us at info@storeyourboard.com!